Kale is one of those really scary vegetables. There cannot be more than a small percentage of the population that gets excited at the prospect of eating it. 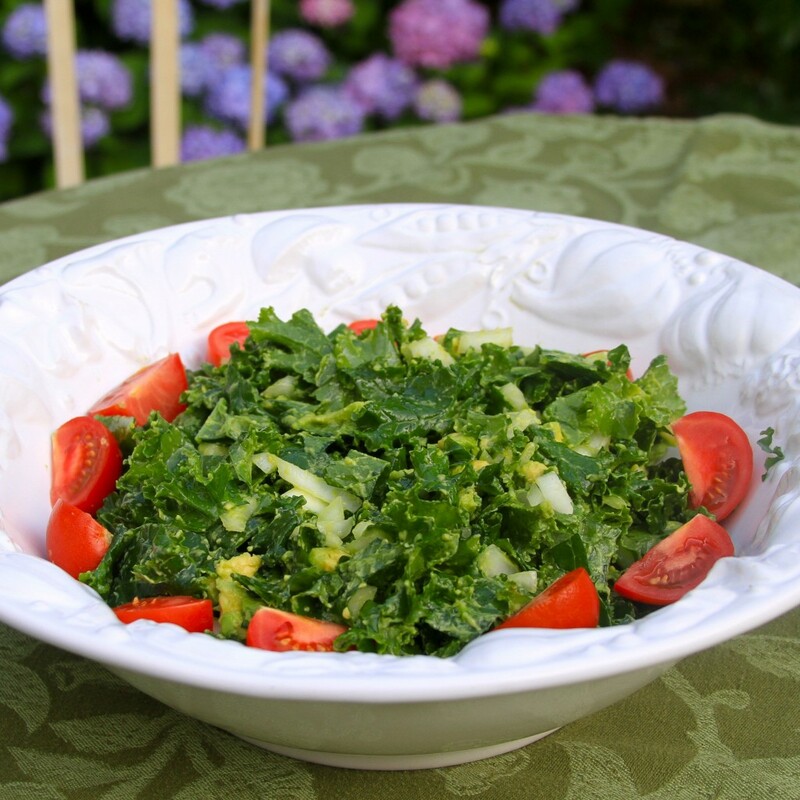 But kale is such a nutritional powerhouse it deserves a second look…or taste. 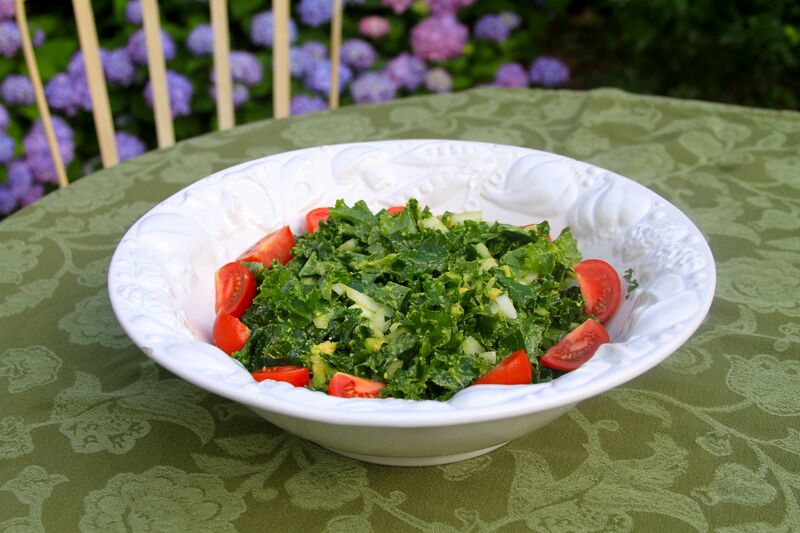 Kale is a leafy green in the cruciferous vegetable category like broccoli, cabbage, collards and Brussels sprouts. 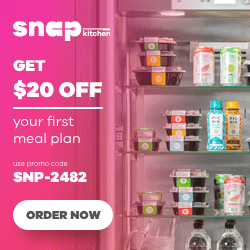 One cup of kale contains 15% of the daily requirement of calcium and B6, 40% of magnesium, 180% of Vitamin A, 200% of Vitamin C and 1,020% of Vitamin K. One cup also gives you 5 grams of fiber, 35 calories and minerals like copper, potassium, iron, manganese and phosphorus. It is an organic gardener’s dream because it is easy to grow, is disease and pest resistant and produces well into the Fall. And for Paleo adherents, such as myself, or anyone not eating a lot of dairy products, the calcium content is pretty important. 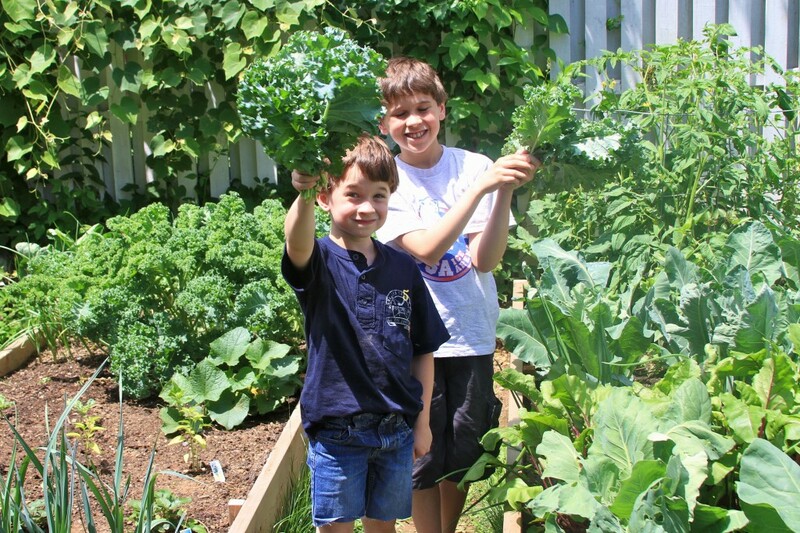 Part of our “Camp Paleo Spirit” summer homeschool experiment involves gardening. Kale is the only thing in our garden, besides herbs, ready for eating so it was an obvious choice for our Day 1 gardening activity. Never having grown kale before I had to “google” the harvesting process. What I learned is you want to cut off the outer leaves when they are richly green and firm but not too dark and tough. You can start harvesting when the plant is about 8-10 inches high. Ideally you should only cut what you will use that day and make sure enough leaves remain in the inner part of the plant so that it continues to produce. Wash the kale and pat dry with a clean towel. Remove any tough parts of the stems and cut or tear into bite-sized pieces. Place the kale into a large bowl. Cut the avocado into small cubes and add to the kale along with the Vidalia onions. Pour on the olive oil, the juice of one lemon and salt and pepper to taste. Use a spoon to stir the mixture until the leaves are well coated with the oil, lemon juice and avocado. You can even use your hands to “massage” the salad if you really want the avocado mixed in well and are feeling especially “earthy-crunchy”. I would recommend massaging the salad before you add the lemon juice to avoid irritating your hands. The lemon juice seems to almost “cook” the kale so letting it soak in for several minutes adds to the flavor. The tomatoes can be tossed in just before serving. I was amazed at the great flavor and the easy prep. The firmness of the kale leaves, unlike lettuce, stood up to overnight storage and the salad was just as good, if not better, at lunch the next day. I can envision several versions of this dish so I encourage you to experiment and let me know how it goes. Cucumber and/or carrots might be great additions. We ate the salad with some spicy sausages flavored with red pepper and it was a really great complement to the kale. So adding a pinch of cayenne to the dressing would probably give a nice kick. 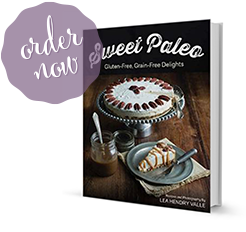 Check here for more paleo side dishes and salads. Wash the kale and pat dry with a clean towel. Remove any tough parts of the stems and cut or tear into bite-sized pieces and place into a large bowl. Cut the avocado into small cubes and use your hands to “massage” the avocado into the kale leaves. Add the chopped sweet onion to the kale. In a small bowl mix together the olive oil, lemon juice, salt and pepper. Use a spoon to stir the mixture until the leaves are well coated with the oil, lemon juice and avocado. Add the tomatoes right before serving. 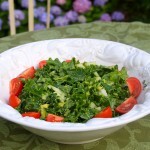 10 Responses to "Kale: “The Queen of Greens” + Kale and Avocado Salad Recipe"
So simple, but soooo good! Thank you!! I just discovered your blog this evening. I have had fibromyalgia for about 10 years and also allergies and a number of digestive issues. I was so interested to read your health story. I just started eliminating gluten, dairy and nightshade vegetables this summer and already feel more energy and less pain in my body. I am going to be brave and try kale!! Thanks for the recipes. They all look good. It’s wonderful you are feeling better! I’m glad you found my site. I’m convinced a lot of fibromyalgia cases are related to gluten intolerance. It sounds like you are trying for the autoimmune protocol. If you haven’t already, you might want to read this post that has some details on that. Kale is especially good with avocado. Well, most things are good with avocado! Best wishes and please let me know how things go for you. I made this as a dinner salad tonight with chunks of chilled cooked blackened salmon on top and it was delightful 🙂 thank you for the recipe! YOU INSPIRED ME IN SO MANY WAYS. YOUR SCRIPTURE WAS VERY APPROPRIATE & WELCOMED. I TOO WAS DIAGNOSED WITH MS. I HOPE TO LEARN MORE FROM YOU. PLEASE KEEP IN TOUCH W/MORE ADVICE AND RECEPIES. BEVERLY 808-536-1311 Are you allowed to call?